11 Commercial Real Estate and Properties in Cairns are listed in 8 categories. We have 24 Retail Shops for Sale , 21 Industrial Warehouses for Sale , 15 Development Lands for Sale , 6 Offices for Sale , 4 Hotels and Leisure for Sale and 2 Commercial Farms for Sale . Just 40km South West of Cairns an amazing opportunity has become available to "Live The Dream” and own and operate a tourism fishing attraction in the idyllic base of the tablelands. This venture is sure to attract a lot of interest! Surrounded by jungle clad mountains and fronting the Mulgrave River this 2.71 ha property comes complete with waterfalls, mountain stream swimming and Kangaroos! Private well stocked Lake with hundreds of Barramundi set amidst beautiful tropical gardens with rare trees, plants and orchids. But you don’t have to stop at fish… with the right permits and enclosures already in place this property could be home to many more animals and would make an ideal wildlife sanctuary. The business has already gained Stage One approval for 14 holiday cabins and recreational vehicles. Inclusions: 2 Bedroom A/C house 3 Bedroom house (art studio) Souvenir shop Coach terminal Commercial block of toilets Riverfront shed with 3 phase power Waterfall nursery with natural rock gardens Ornamental fishpond 2 Nursery buildings and much more including complete inventory of good equipment This would make a great family business and certainly a great place to raise a family. A 10 minute drive from Gordonvale all the necessary facilities are there with doctors, state and catholic primary school and high school, supermarket, sports ground, golf course etc. 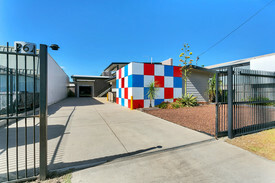 This is a one of a kind property and there is tremendous potential to expand the business and be rewarded. An 80 year old Vendor after 40 years is keen to sell and will listen to realistic offers! Proposed Medical Development Contact agent Helen Cross..
A proposed medical development is available to prospective buyers / tenants. Located on the corner of Sheridan and Smith Streets, Cairns North and just minutes from Cairns Hospital. The owners will develop the site to the buyer or tenants requirements. Approximately 2,000 m2 of lettable area and an abundance of car parking. 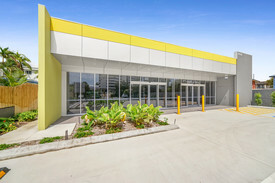 Contact: Agent Helen Crossley Ray White Commercial Cairns for more details.